The process of specifying the objectives of an organization; formulating the policies and plans to achieve the said objectives along with allocating resources for the same is known as strategic management. Strategic management is not actually a task but a set of managerial skills that are meant to be performed across the cross-section of the organization. In fact, it is considered to be the most superior level of managerial activity in any organization. The basic intent of strategic management is to maximize the potential of achieving the organization’s business objectives. The term is perhaps the most over-used and identifiable from the business world. Although most have heard of it, few know what its usage is for general businesses. The truth is that when used to its full potential and effect, strategic management can prove to be the key to make your business prosper and grow over a period of time. The entire process is a combination of two smaller functions- the formulation of strategy and the implementation of strategy. The first step involves doing a situational analysis with respect to the organizational goals, the current scenario and the desired effect- both micro-environmental and macro-environmental as well as both internal and external. The objectives have to be set, which involves formulating the vision statements or the mission statements and the different objectives. Then comes the second process of strategy implementation that comprises of resource allocation, the establishment of a hierarchy and chain of command for the task at hand and then assigning individual tasks based on individual strengths and attributes as well as the overall group dynamics. This stage of the process also involves monitoring then results and evaluating the progress and success or failure of the process so far. Basically, through strategic management, one has to plan the future for the organization in an organized way. There could be three basic types of strategies one could adopt during strategic management- long-term, short-term or functional. 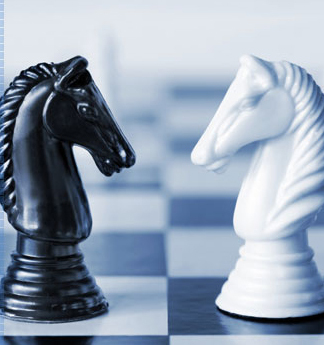 Long-term strategizing is absolutely essential for any organization in order to achieve long term goals i.e. goals for the next one to five years. They might be less detailed strategies but they still act as blueprints for the intended future of the organization. However, the long-term strategies are meaningless if there are no effective short-term strategies in place. These strategies concern your organization’s plans for now and the present, basically for a twelve-month timeframe. The employees need to be incorporated into the planning process for any strategy to work. Most organizations adopt both long-term and short-term strategies in tandem so that both the long-term and short-term goals of the organization can be met. In addition, it is also advisable to employ functional strategies from time to time to help you with the specific functions in the business. Adherence to the set plan is a must if one wants to grow and prosper. One needs to avoid the grave mistake of over-estimating the competence and potential of the resources at hand or neglecting the time management aspect of the process, and only can strategic management actually help achieve the organizational goals. For a powerful strategic management, get The Leader Phrase Book. It contains over 3000 ready made phrases that put you in command.